If you aren’t familiar with Pitti Uomo, it’s the little brother to Milan Men’s Fashion Week and takes place in Florence. Held bi-annually, most of the attendees opt for three-piece suits, but with guest designers invited seasonally, it also brings the fashion pack with it. That much was apparent to observers – including our faithful documenter Yu Fujiwara, who recently photographed attendees on the streets during the AW18 show season. “Despite the recent genderless movement, Pitti Uomo feels very macho in a way, but at the same time with a ‘boys will be boys’ sort of charming-ness as well,” he says. 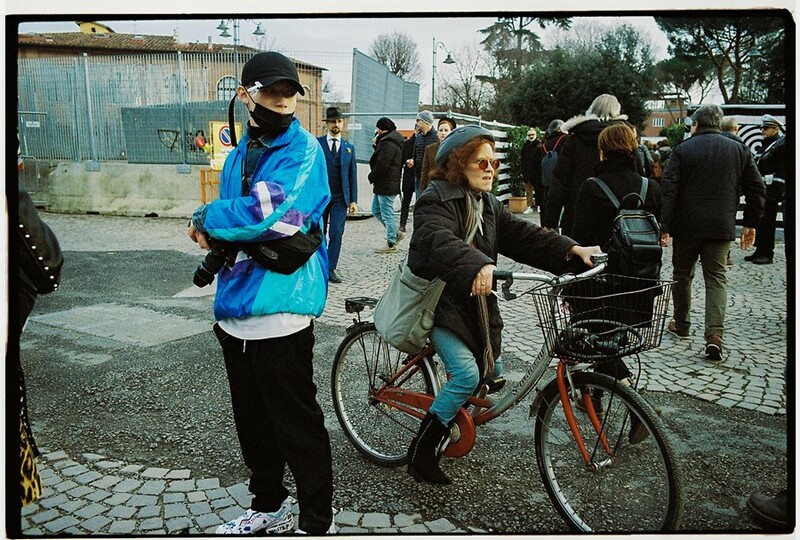 Fujiwara – always withdrawn from any sort of spectacle – gave no time to potential Pitti peacocks, instead capturing the true essence of the event and going beyond the main venue to capture the city itself. What did he find? Alongside some dapper gentlemen and those with a love of streetwear, some local authority officials. Oh – and plenty of curious locals too. Head to the gallery above for the full selection.